Hate seeing those scuff marks on your hard wood floors? Most of those scratches are made from moving the furniture. While it poses no problem for heavy, stationary things like beds and tables, we cannot totally avoid it when we move chairs to sit on. Crochet chair socks are a popular solution to the problem. However, chairs have different legs and it will be difficult to find a pattern that fits the exact same legs as the ones your chair has. Check your chair's legs. Are all the legs of your chair the same? Does it have edges like a square or is it circular? Do the legs the same thickness all throughout? Or does it become narrow when it reaches a certain height? Take note of those details so you can customize your design. 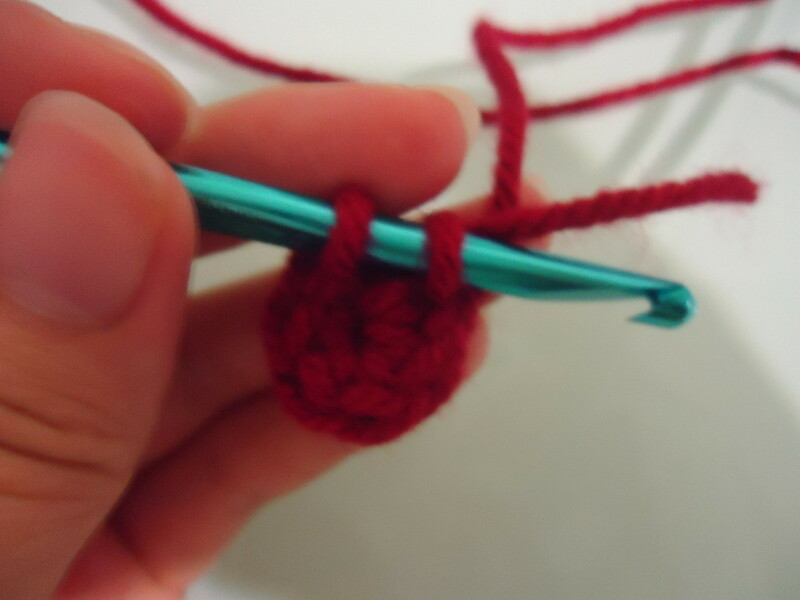 You don't need to measure it if you don't want to, just keep going back to the chair as you crochet to make sure it fits. Note: I have found that legs with edges tend to hold the sock better as it stretches round chair socks to a square shape. 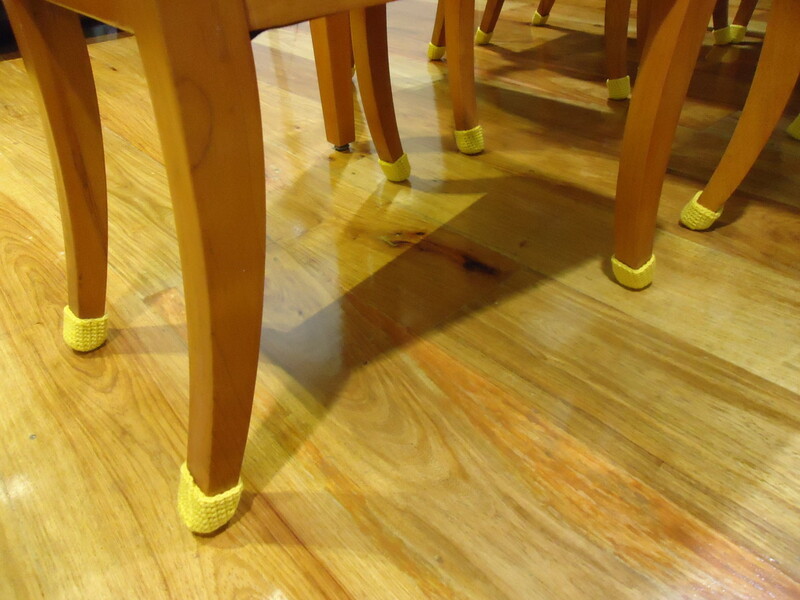 Chairs with round legs need to have socks that fit exactly right so the sock will not fall off or sag down the leg whenever you move the chair around. Count how many socks you need. If the legs are all uniform, you can just count the total number of chairs and multiply it by the number of legs in each chair. 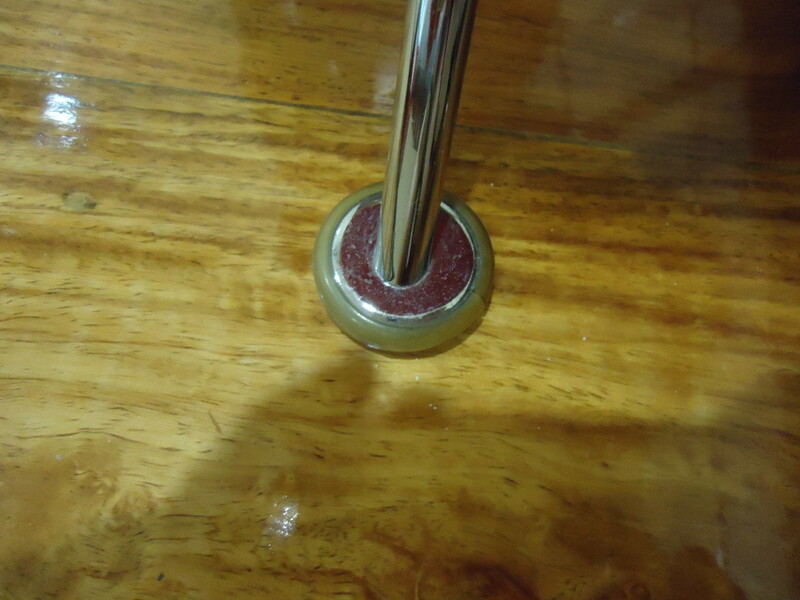 Like in the picture above, our dining table had six chairs, with four legs each, so, 6 * 4 = 24. If the front legs are narrower and the back legs thicker, then note that you have to make two different sizes, so that will be 12 of each size. Choose the perfect color. Because the socks will be clearly visible, you can choose colors that will suit your décor and match it perfectly. 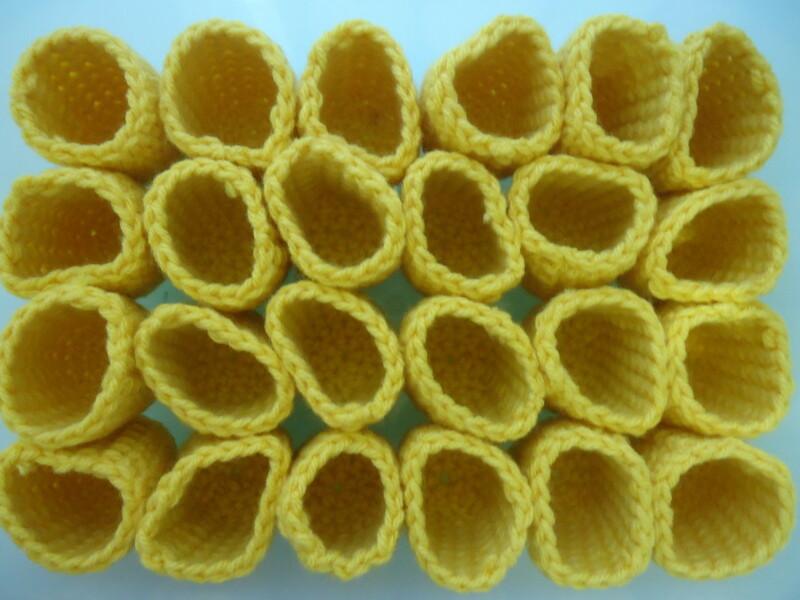 I have found it difficult to find yarn that matches the color of wood, so for the dining chairs, I used a sunflower yellow color instead. Find the right kind of yarn. 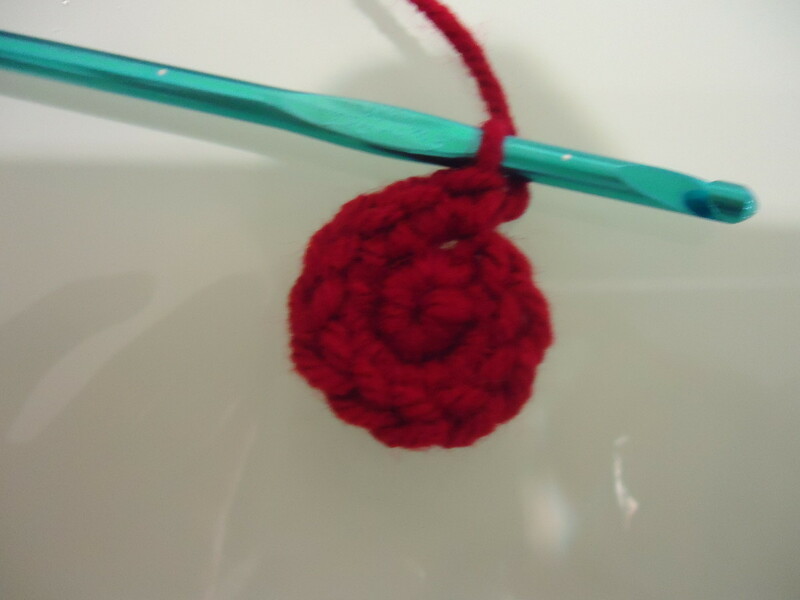 Since it is for protecting your floors, you have to make sure that the yarn is nice and thick. If what you bought is too thin, you can use two strands of it to make it thicker. As for the contents of the yarn, you can go for the cheaper route and go for acrylic. There are some nice, thick acrylic yarns out there in the market. Find the right sized hook. Try a swatch to make sure the socks will do a good job protecting those floors. You need to look for sturdy, thick swatches before you start making the socks. If the swatch has too much drape, it might have holes in the stitch pattern and not do a good job protecting your floor. 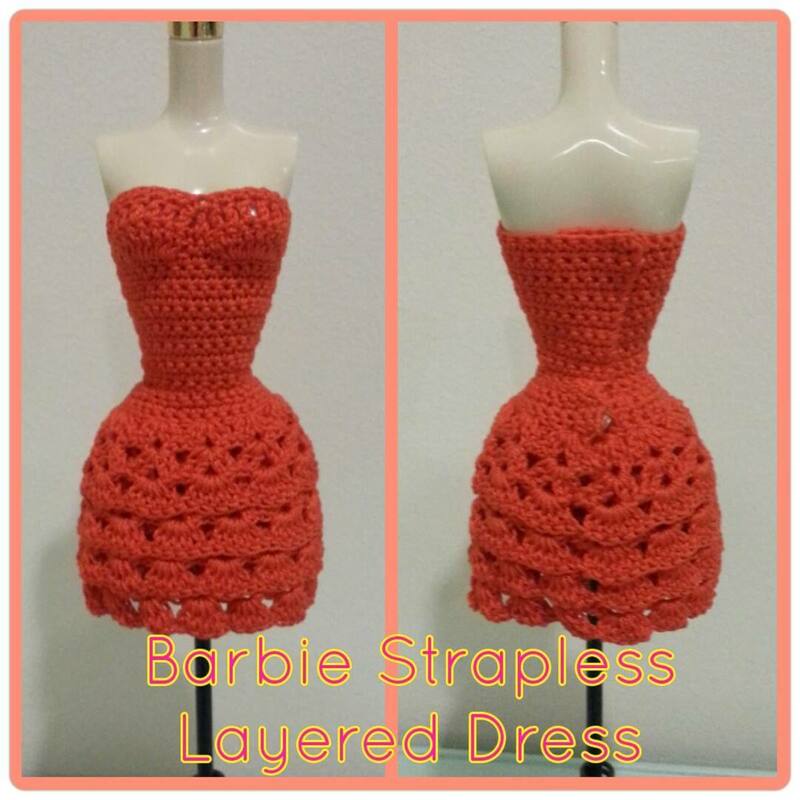 The next step is to start crocheting! For the pattern I followed in the picture, visit Christmas Chair Socks. 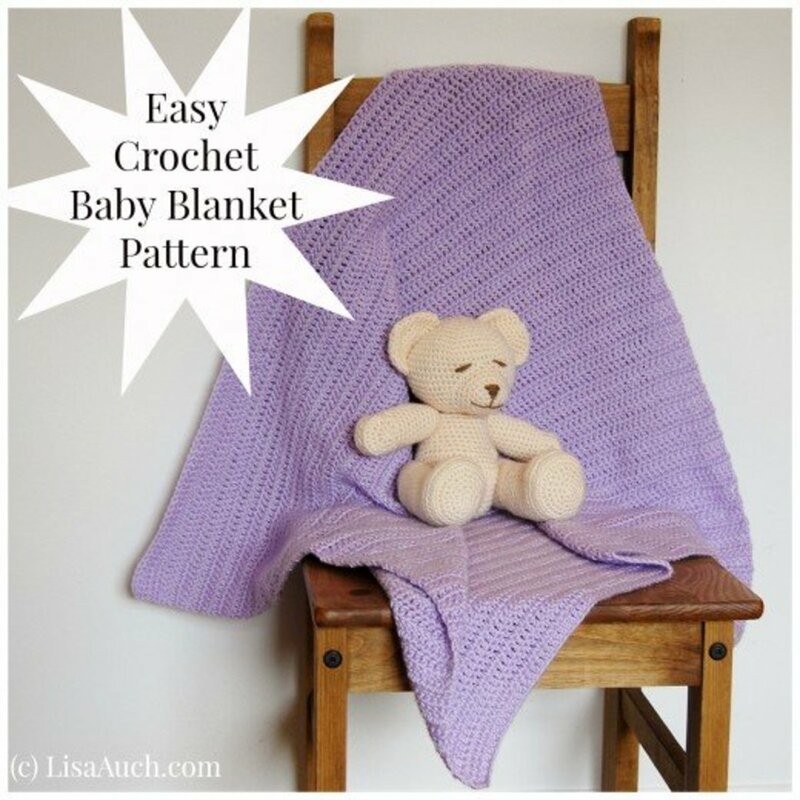 The pattern just follows a basic rule for crocheting in the round and increasing in numbers of six for each round. I did not follow the stripes included in the pattern because I have no desire to own flashy chair socks. How do you go about customizing this if it does not fit your chair? Before you work on the rounds with no increases, fit the sock to the bottom of the leg and see if it will fit. This is an important step to save you the trouble of having to redo the whole thing later if the fit is not right. For example, the base is too small for your chair leg. 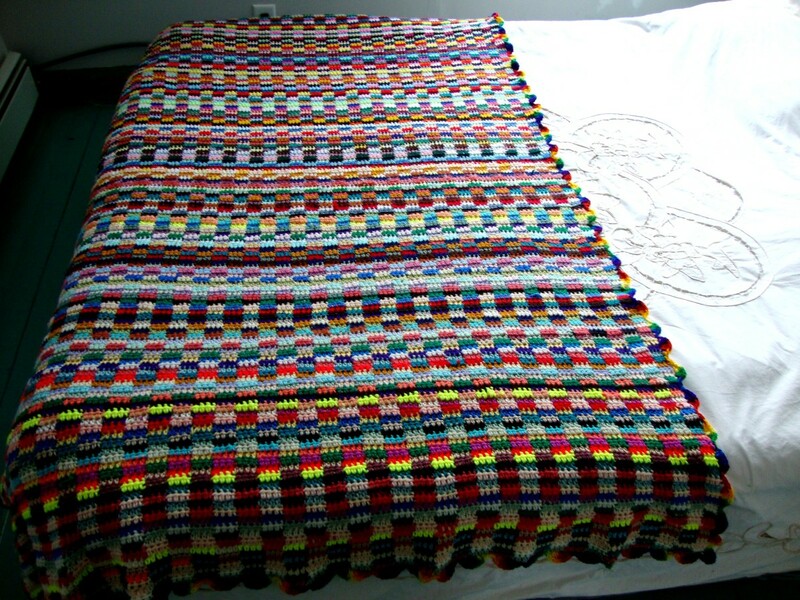 The pattern has three rounds of increase from 6, 12, 18 stitches, and then just going around with 18 single crochets until the end. 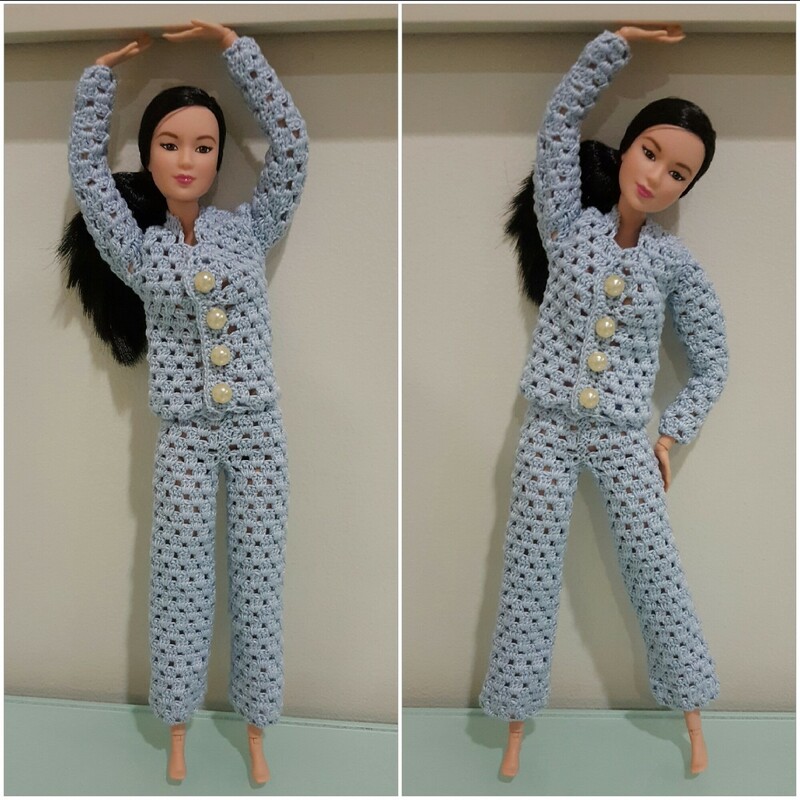 Before doing the body of the sock, go for another increase by doing (sc in 2 sts, 2 sc in next st) around and increasing the stitches to 24. 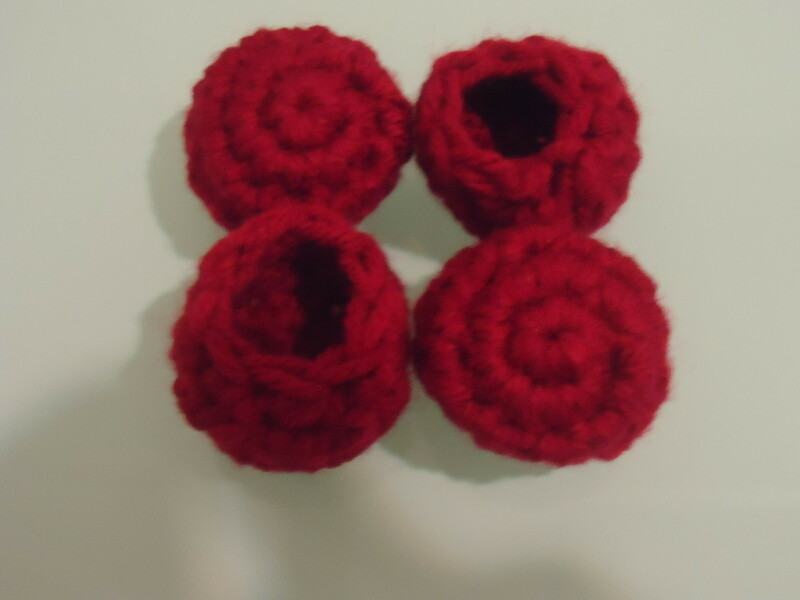 Then stop increasing and do 24 single crochets for each round until you are satisfied with the height. If the legs have notches or grooves as part of the design, the basic sock should be able to fit it like a cozy. But how about if you have chairs with very slim legs? This hub was inspired by my need for a sock for my vanity chair. As you can see in the picture, there is a built in rubber base for each leg. One broke off and made the chair uneven. So I wanted to fix it by adding socks. The problem with this type of leg is that is has a wide bottom but a narrow top. What I needed was a bottle cap type of chair sock to have a perfect fit. Following the steps above, I came up with this simple design. I only needed 4 socks, all with the same size. Feel free to customize the design to suit your needs. Admittedly, when I first started making magic circles, I tended to leave the tail behind the work and cut it off when the project is done. I soon discovered this method tends to leave a big hole in the middle and I am not able to fix it anymore after the project is done. So because this pattern uses a magic circle, here is a good tip on how to make sure you have no hole in the middle of the loop. If you clicked on the link for the magic circle, it leads you to a step-by-step tutorial on how to do it. Thank you so much! 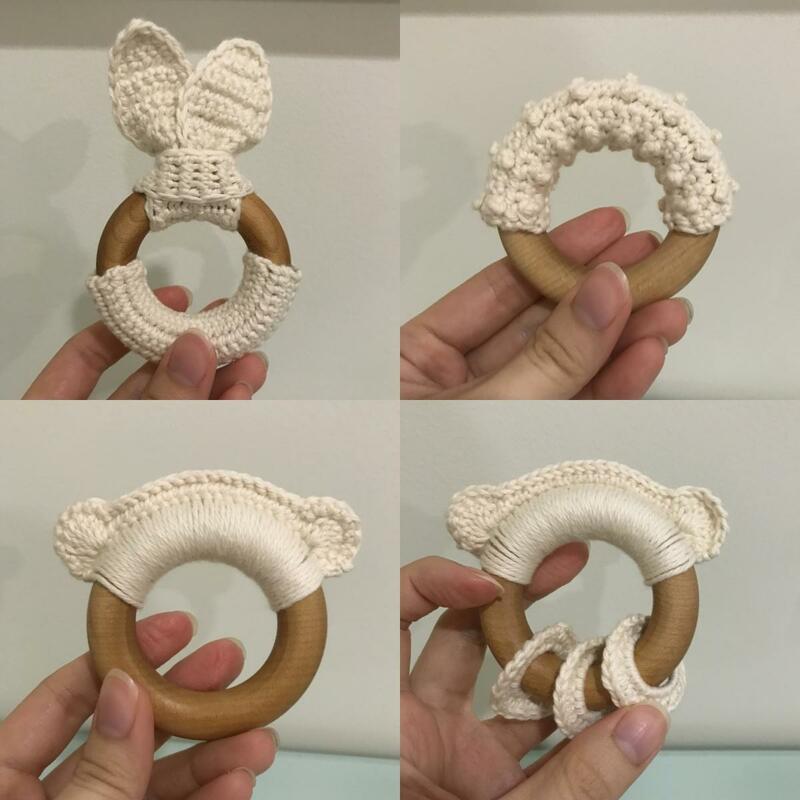 I just learned about these and am planning to make some for Christmas—this will give me a great start! Thanks so much for this tutorial. 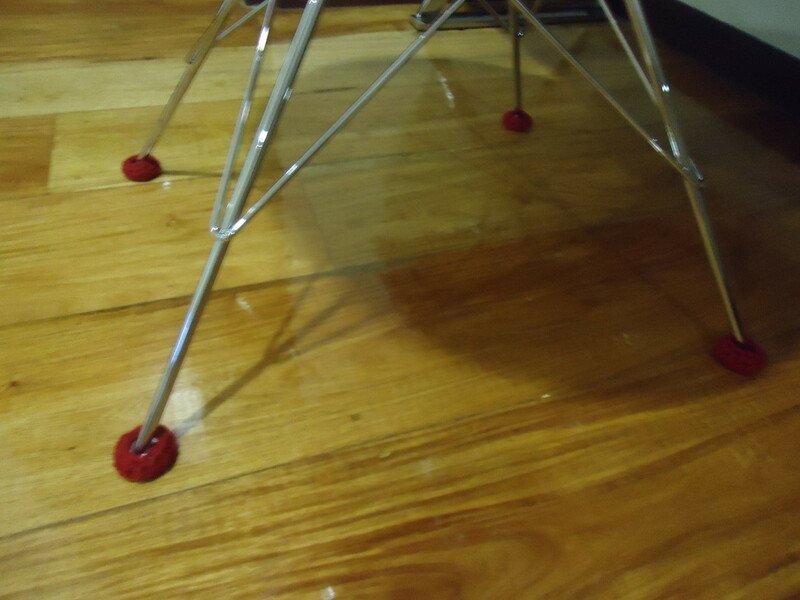 The chairs in my sisters classroom need the bottle cap style. 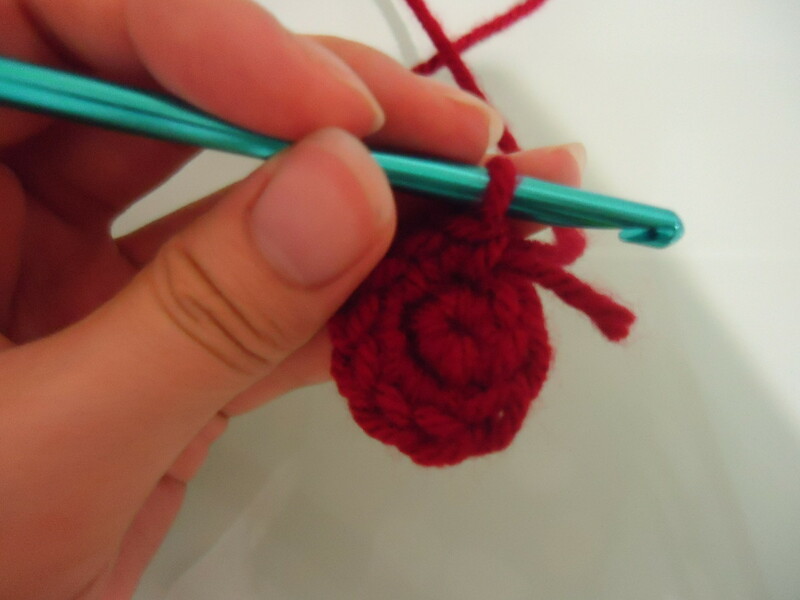 For anyone who may have trouble with them falling off, try crocheting an extra decrease or two after round 5. This should tighten up the opening a bit. Thank you! Just what I needed for dear d.i.l. 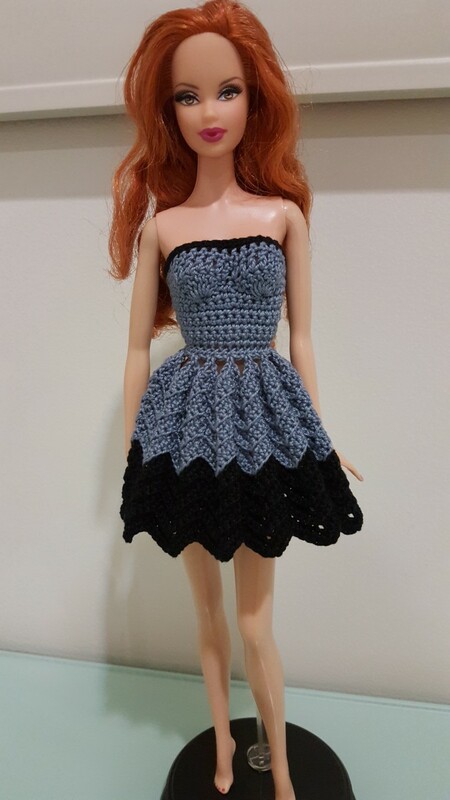 Her chairs need 'bottle cap' style socks -now I can crochet. I made these socks / slippers for my sister & her friend. They turned out great & both girls loved them! Many thanks! We've been trying to figure this problem out for a while. Thanks for the great fix!! What an awesome idea! Shared around. I have an old table that leaves horrible marks and this will fix it right up! What a great idea. Maybe with thick enough yarn it will even help with those dreaded toe stubbing moments when I accidentally kick my chair or table. Thanks! Maybe it's just like riding a bicycle? 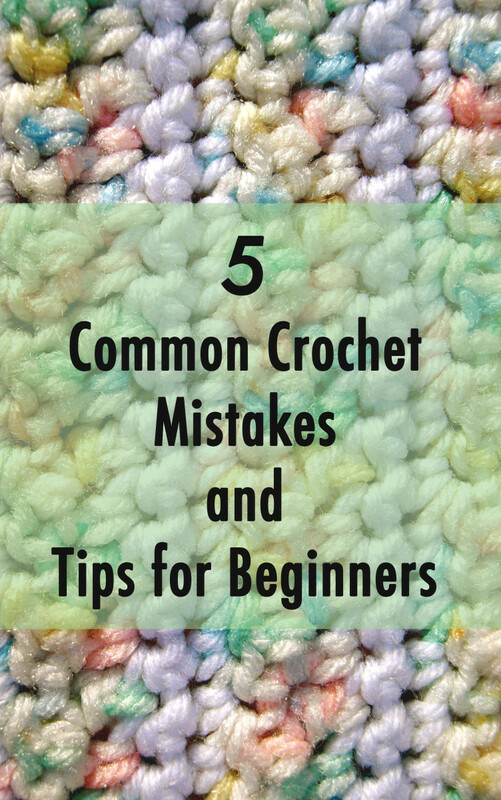 It might come back to you when you review how to crochet. You explanation here is great, i would like to do those Crochet Chair Socks myself but can i remember how to do the crotchet? Great article and i like the photos too. Voted up.